Here comes the money! 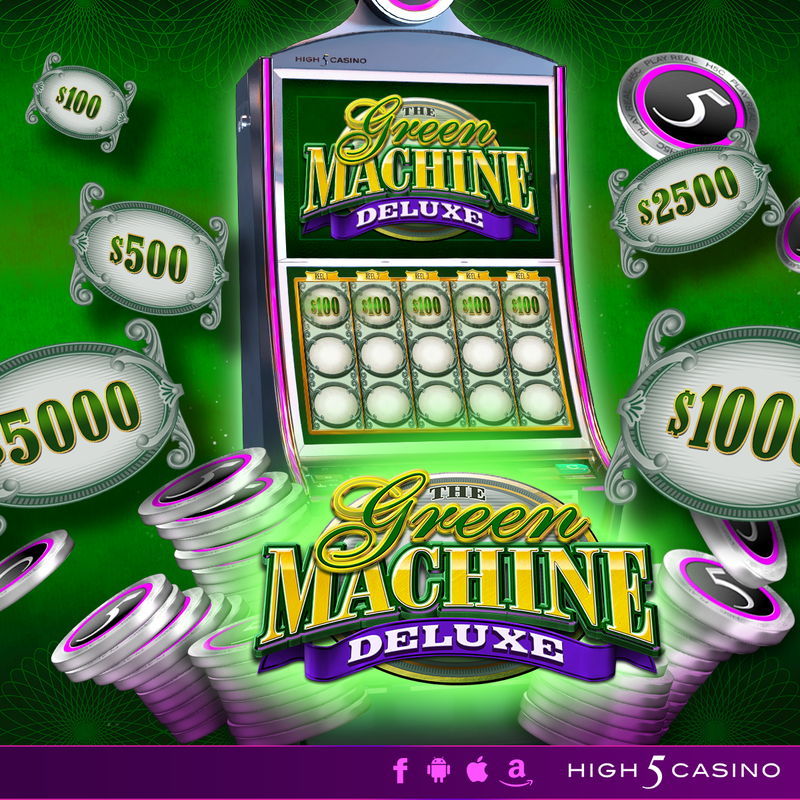 High 5 Casino’s 209th game, The Green Machine Deluxe, arrives soon! Check the YouTube video below and get ready to win jackpots on High 5 Casino’s reels! Are you ready to sing Money, Money, Money? Comment in the conversation bubble located on the top right corner of your screen and let us know what you think! This entry was posted in game preview, Game Release, High 5 Casino, High 5 Games, High 5 Moments, top games and tagged Facebook, Free Games, game preview, Game Spotlight, Google Play Store, High 5 Casino, High 5 Casino Mobile, High 5 Games, iOS, iPads, iPhone, iPhones, mobile gaming, slots, social gaming by hoothigh5. Bookmark the permalink.